The advancement in apps used in the smartphones are now been able to help diagnose diseases by just taking a slefie - and forewarn a person if he/she is in the danger zone. The app's purpose is to assist in the early detection of skin cancer and it claims that its diagnosis is 83% correct. 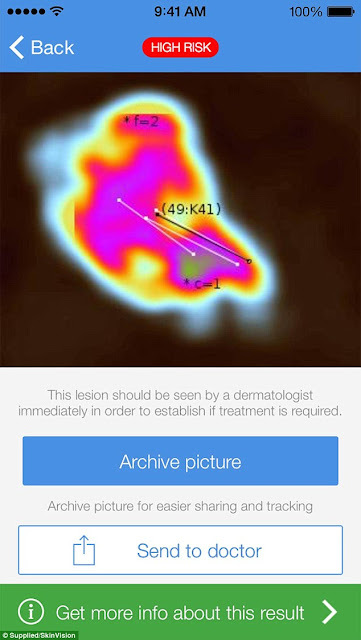 The app uses an algorithm to analysis the lesion based on fractal geometry.